Wilson Advance, 21 April 1892. The Gaston twins were John A. Gaston and George A. Gaston. George established perhaps the leading barber shop in Elm City, seven miles north of Wilson. Though John was sometimes referred to as “Twin Gaston,” this ad, with Gastons plural, suggests that the brothers were in business together in Wilson at least briefly. In the 1870 census of Kinston, Lenoir County, North Carolina: brickmason George Gaston, 53, wife Matilda, 30, and 13 year-old sons George and John, both farm laborers. In the 1880 census of Wilson, Wilson County: brickmason George Gaston, 60, wife Matilda, 44, and son John, 23, a farm laborer. John’s twin George Gaston, 23, barber, is listed by himself in the 1880 census of Town of Toisnot, Wilson County. Practicing midwifery without a license. 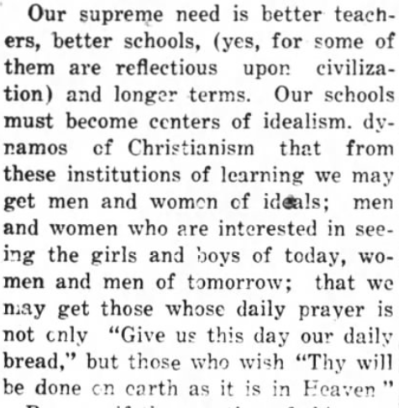 Wilson Daily Times, 19 January 1938. Mariah Battle Gaston‘s plight was a common one for midwives in the early twentieth century. As the practice of medicine professionalized, and backed by the twin pressures of sexism and racism, doctors began to usurp the traditional role of granny midwives and to criminalize their practice of their vocation. In the 1870 census of Joyners township, Wilson County: Frank Battle, 48; wife Martha, 49; and children Dolly, 25, Patsey, 17, and Mariah, 14. On 16 July 1874, William Gaston, 22, married Mariah Battle, 20, in Toisnot township. In the 1880 census of Toisnot township, Wilson County: farm laborer William Gaston, 28; wife Maria, 21; and children Willie, 7, Lola E., 5, Clara, 4, and Nannie, 2; plus schoolteacher George Harrison, 35. In the 1900 census of Town of Elm City, Toisnot township, Wilson County: washerwoman Mirah Gaston, 35, widow; children Lola, 22, Nancy, 19, Lula, 16, Eddie, 15, Cora, 13, Fredrick, 8, and Elma, 6; and “orphans” Eva, 11, and Mary Barnes, 20. On 23 October 1906, Ed Gaston, 22, son of Mariah Gaston, married Stella Williams, 22, in Elm City. In the 1910 census of Town of Elm City, Toisnot township, Wilson County: on East Main Street, widow Maria Gaston, 49, washer woman, and sons Eddie, 24, lumber mill laborer, Fred, 21, Elma, 17, odd jobs laborer, Arma, 15, and Willie, 12. Fred Gaston died 17 November 1916 in Wilson township, Wilson County. Per his death certificate, he was 27 years old; was born in Elm City to William Gaston of Virginia and Marriah Battle of North Carolina; and worked as a farm hand. On 19 October 1920, Ed Gaston, 40, of Toisnot, married Ida Price, 39, in Elm City. Jesse Wynn applied for the license. In the 1940 census of Town of Elm City, Toisnot township, Wilson County: on Nash Street, widow Mariah Gaston, 79, and son Ed, 53, a laborer at Williams Lumber. 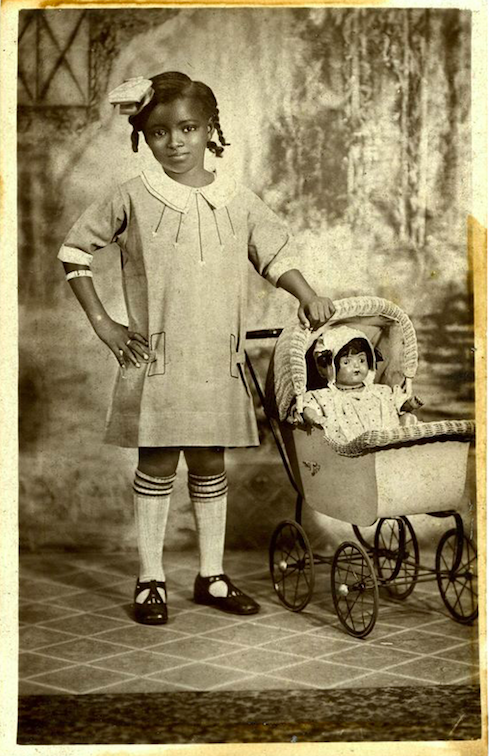 Myria Gaston died 18 March 1947 in Elm City, Toisnot township. Per her death certificate, she was born 9 December 1880 in Wilson County to Frank and Martha Battle of Wilson County and was the widow of William Gaston. She was buried in Elm City cemetery, and Lula Dawson of Elm City was informant. Eddie Gaston died 10 November 1951 in Elm City, Toisnot township. Per his death certificate, he was born 12 February 1886 in Wilson County to William Gaston and Mariah Battle; was a widower; worked as a laborer; and was buried in Elm City cemetery. Lula Lawson was informant. Cora Gaston Latham died 9 January 1964 at Mercy Hospital. Per her death certificate, she was born 27 August 1891 in Wilson County to William Gaston and Mariah Battle; was widowed; and resided in Elm City. Maxine Kelly of Elm City was informant. Studio shots, no. 90: Edna E. Gaston. In fact, Edna Earline Gaston was the daughter of Albert Sessle Gaston of Wilson and Annie House Gaston of Moore County, North Carolina. John H. Clark was her great-uncle, brother of Albert Gaston’s mother Ella Clark Gaston. In 1918, Albert Gaston registered for the World War I draft in Philadelphia, Pennsylvania. Per his registration card, he was born 16 August 1897 in Wilson, N.C.; resided at 2105 Nassau Street, Philadelphia; worked as a longshoreman; and his nearest relative was Anna Gaston. In the 1920 census of Philadelphia, Philadelphia County, Pennsylvania: at 2105 Nassau Street, building laborer Albert Gaston, 22; wife Anne T., 23; daughter Edna E., 1; lodger Harry Jenkins, 19, a laundry laborer; and “mother” Hellen Hunton, 53. All were born in North Carolina. Shortly after the census, the Gastons returned to North Carolina, where they took positions in Annie H. Gaston’s home county. 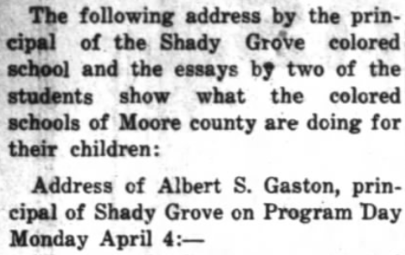 On 28 April 1921, The Moore County News of Carthage printed principal Albert Gaston’s address to the Shady Grove colored school. By October 1921, Gaston had take over as head of the struggling Addor school. 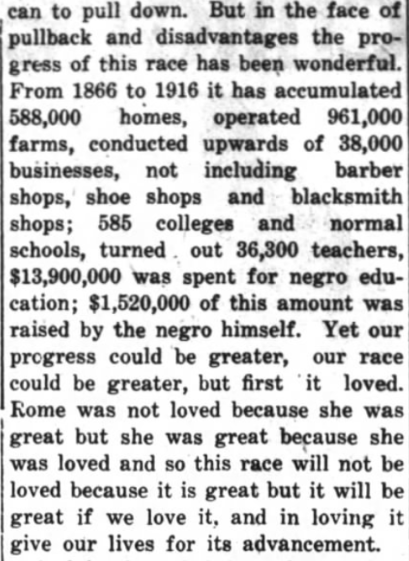 Per this 1997 National Register of Historic Places nomination report, the Gastons began an energetic campaign to raise money for a Rosenwald School, and the Lincoln Park school near Pinebluff was the result. Albert Sessel Gaston registered for the World War II draft in 1942 in Raeford, Hoke County, North Carolina. Per his registration card, he was born 15 August 1897 in Wilson; was employed by the Board of Education in Raeford; and his contact was Annie L. Gaston, 119 Lincoln Street, Hampton, Virginia. Annie Lillian Gaston died 2 June 1952 at Mercy Hospital in Wilson. Per her death certificate, she was born 17 July 1896 in Moore County to John House and Maggie Gunter; was a schoolteacher; and was married. Albert Gaston was informant. Per the Social Security Death Index, Albert Gaston died November 1979 and Edna Gaston Coles died 25 July 1999, both in Philadelphia. In the 1930 census of Town of Elm City, Toisnot township, Wilson County: barber Dewey Gaston, 30; wife Mary, 20; and children Doris L., 5, and Victor H., 3. In the 1940 census of Town of Elm City, Toisnot township, Wilson County: barber Dewey Gaston, 40; wife Mary, 38; and children Doris, 51, and Victor H., 13. 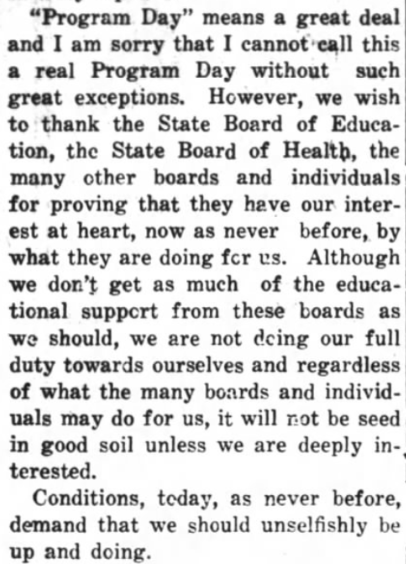 Wilson Daily Times, 21 September 1928. In which a number of worthy colored men make haste to reassure the public of their continued respectability. Henry Gaston — in the 1930 census of Wilson, Wilson County: at 508 Woodard, Henry Gaston, 42, laborer; wife Dora, 38; and stepdaughter Josephine Whitaker, 14. Herbert Ricks — in the 1930 census of Wilson, Wilson County: at 1007 Carolina Street, cafe proprietor Herbert Ricks, 27; wife Goldie, 30, private family cook; and daughter Gloria H., 4. Studio shots, no. 26: Mary Howard Gaston McPhail. In the 1920 census of Toisnot township, Wilson County: on the Elm City and Wilson Road, farmer Junius Rosser, 59, wife Lizzie, 46, children Daniel, 14, Annie, 12, Bennie, 10, and Lizzie, 8, and boarder Mary Howard, 19, a teacher. On 8 March 1923, Dewey Gaston, 23, son of George and Priscilla Gaston, all of Wilson County, married Mary B. Howard, 24, of Edgecombe County, daughter of Mary E. Darden. 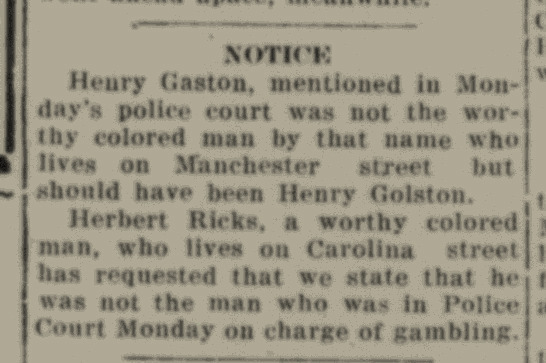 Dewey’s brother Mancie Gaston applied for the license, and Rev. R.E. Sentelle performed the ceremony in Edgecombe County in the presence of Mancie Gaston and Fannie F. Ricks of Elm City. In the 1930 census of Toisnot township, Wilson County: barber Dewey Gaston, 30, wife Mary, 20 [sic], and children Doris L., 5, and Victor H., 3. In the 1940 census of the Town of Elm City, Wilson County: on Dixon Street, barber Dewey Gaston, 40, wife Mary, 38, a teacher, and children Dorris, 15, and Victor H., 13. Dewey Milton Gaston died 14 February 1946 in Elm City. Per his death certificate, he was born 15 November 1899 in Elm City to George Gaston and Priscilla (no maiden name listed); worked as a self-employed barber; was married to Mary Gaston; and was buried in Elm City cemetery. Mary Gaston was informant. On 21 January 1951, Mary B. Gaston, 47, of Elm City, daughter of Victor and Mamie Howard, married Hector H. McPhail, 48, of Wilson, son of R.J. and Laura Waddell McPhail. A.M.E. Zion minister Allen J. Kirk performed the ceremony in Elm City. Mrs. C.L. Darden, Dr. J.B. Rosemond, and Mrs. Grace Artis were witnesses. Mary Howard Gaston McPhail died 7 July 1985 in Wilson. Photograph courtesy of Maria Rosemond Logan — many thanks. John Gaston: easy chairs, razors keen. Barbers ranked high among black Wilson’s most prominent residents in the late 19th and early 20th centuries. Lemon Taborn, who was later joined by his wife Edmonia and daughter Carrie, was the earliest of the well-known Wilson barbers, whose clientele was exclusively white. Others in the late 1800s included Alfred Robinson, J.F. White, Ed Mitchell, Tobias Farmer, and John A. Gaston. In the 1880 census of Wilson, Wilson County: brickmason George Gaston, 60, wife Matilda, 44, and son John, 23, a farm laborer. John’s twin George Gaston, 23, barber, is listed by himself in the 1880 census of Town of Toisnot, Wilson County. George established perhaps the leading barber shop in Elm City, seven miles north of Wilson. On 18 September 1884, J.A. Gaston, 25, married Eller Clark, 17, in Wilson. Witnesses were Samuel H. Vick, C.D Howard and Braswell R. Winstead. Wilson Advance, 2 January 1890. Wilson Advance, 10 July 1890. Wilson Advance, 4 June 1891. Gaston and Ransom seem to have parted ways shortly, and in August 1891 a local newspaper noted the addition of Ed Mitchell to the shop. Wilson Advance, 27 August 1891. Wilson Advance, 14 January 1892. Gaston continued to expand his business. Wilson Advance, 17 November 1892. Wilson Advance, 26 January 1893. Though he received a fair amount of free publicity via news briefs such as those above, Gaston was a big believer in advertising, and placed hundreds of ads in the Wilson Advance. Here, he touted two additional barbers, including one that he trained. (I have not found any other reference to Lyde (Clyde?) Richardson. Noah J. Tate, curiously, is referred to as “Pate” in this and another newspaper reference, but Tate in all others. The son of Hardy and Mary Jane Tate, he and Walter Hines entered a partnership circa 1910. Wilson Mirror, 31 October 1894. Wilson Advance, 2 May 1895. Wilson Advance, 2 April 1896. Wilson Advance, 8 April 1897. Wilson Advance, 24 March 1898. John A. Gaston, 44, son of George Gaston, and Sattena Barnes, 22, daughter of Doublin and Eliza Barnes, were married 9 November 1899 at the bride’s residence in Wilson. Braswell R. Winstead obtained the license; Rev. S.B. Hunter performed the ceremony at the A.M.E. Zion church; and Grant T. Foster (husband of Hugh T. Ransom’s widow Maggie), B.R. Winstead, and Samuel H. Vick were witnesses. In the 1900 census of Wilson, Wilson County: barber John Gaston, 44, wife Satina, 30, and children Theodore, 13, Cicero, 10, George, 8, and Caroline, 2 months. In the 1910 census of Warsaw, Duplin County: widower John Gaston, 53, barber, and son Ciseroe, 24, pressing club operator. 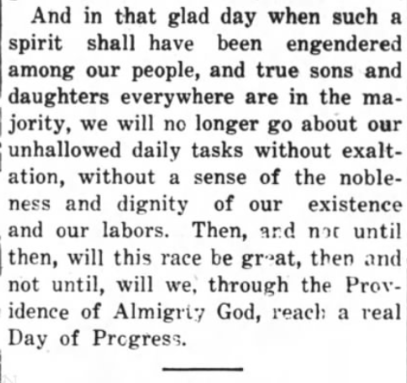 Wilson Daily Times, 10 January 1911. In the 1920 census of Warsaw, Duplin County: on Bell Street, widower John Gaston, 63, barber, and son Theodore, 33, also a barber. On 4 November 1930, John A. Gaston died in Warsaw, Duplin County. Per his death certificate, he was born about 1858 in Duplin County to George Gaston and an unnamed mother and was the widower of Satina Barnes Gaston. Cause of death: “Don’t know. Sudden death while about his work as barber. No doctor had examined him.” Theo. Gaston of Warsaw was informant. The popular (and peripatetic) Ed Mitchell. Wilson Mirror, 18 January 1888. Wilson Mirror, 7 May 1890. Wilson Mirror, 30 July 1890. Wilson Mirror, 25 February 1891. Wilson Mirror, 20 May 1891. Wilson Advance, 13 April 1893. Democratic Banner (Dunn, N.C.), 31 December 1902. 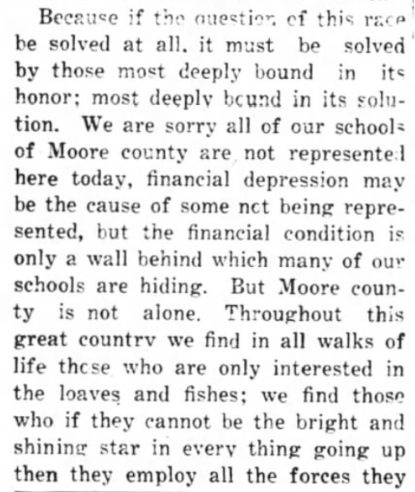 Wilson Daily Times, 21 October 1910. In the 1880 census of Wilson, Wilson County: on Spring Street, washerwoman Susan Mitchell, 47, with children Lucy, 19, and Louiza, 15, both house servants, Eddy, 12, and Joseph, 9. On 18 October 1880, Lucy Mitchell, 19, married Mashal Powell, 18, at Susan Mitchell’s house. Witnesses were Small Blunt, Mary Blunt and Susan Mitchell. In the 1910 census of Wilson, Wilson County: Susan Mitchell, 75, lived alone in a rented house on the N&S Railroad. In the 1910 census of Averasboro, Harnett County: on Wilmington & Magnolia Road, barber Edward Mitchell, 44, wife Allice M., 24, and daughter Loucile D., 6 months. Edward Mitchell died 5 February 1918 in Dunn, Harnett County, North Carolina. Per his death certificate, he was born in Wilson to Ed and Susan Mitchell, was married, and worked as a barber. He was buried in Dunn. In the 1920 census of Averasboro, Harnett County: at 311 Magnolia Avenue, widow Alice Mitchell, 33, with daughters Glydis, 10, and Doris, 9. I give, devise and bequeath unto my daughter. In a will executed on 11 February 1947, John H. Clark left all his property to his only child, Flora Clark Bethel. Levi H. Jones and A.S. Gaston served as attesting witnesses. Clark died 2 November 1949. North Carolina Wills and Estates, 1665-1998 [database on-line], http://www.ancestry.com. Elm City Elevator, 28 February 1902. Elm City Elevator, 21 March 1902. Three weeks apart, the short-lived Elm City Elevator ran two short pieces featuring George A. Gaston. One is straightforward and factual. The second, purportedly authored by Gaston himself, is condescending and replete with stereotypes. In the 1880 census of Town of Toisnot, Wilson County: George Gaston, 23, barber, is listed by himself. In the 1900 census of Town of Elm City, Toisnot township, Wilson County: on Pender Street, barber and plasterer George W. Gaston, 44, wife Cilla, 44, a cook; and children Rosco, 18, bricklayer; John, 16, common laborer; Georgia, 15, cook; Addar, 12, nurse; Nina, 11, nurse; Mancy, 6; Lacy, 6; Augustas, 6; Boston, 1; and Dewey, 6 months. In the 1910 census of Town of Elm City, Wilson County: on Wilson Street, barber George Gaston, 55, wife Priscilla, 53; and children Roscoe, 28, barber; John, 26, barber; Georgie, 25; Ada, 23, teacher; Nina, 21; Mancie, 17; Augustus, 16; Flossy, 16; Boisy, 14; Dewey, 9; and Lee J. Gaston, 7. In the 1930 census of Elm City town, Toisnot township, next door to Dewey Gaston, 30, barber, and family, barbershop proprietor George Gaston, 72, and daughter Ada, a teacher, 43.